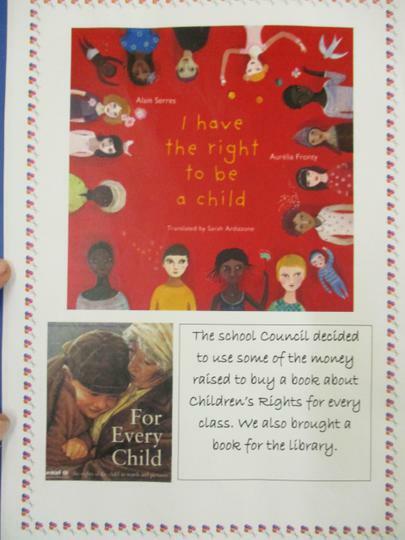 The School Council asked Class Councils for their ideas on what would help the learn about children's rights and they suggested putting up a display in every class. 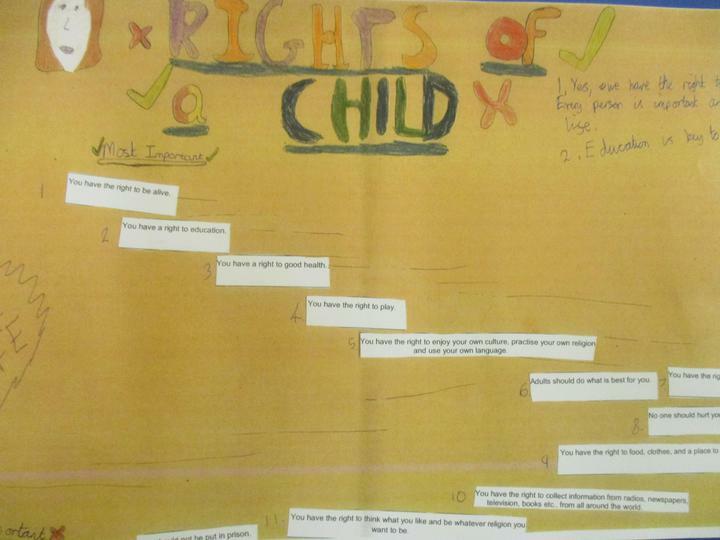 Each class has worked together to come up with a charter of rights and responsibilities that they feel are important in their classroom. 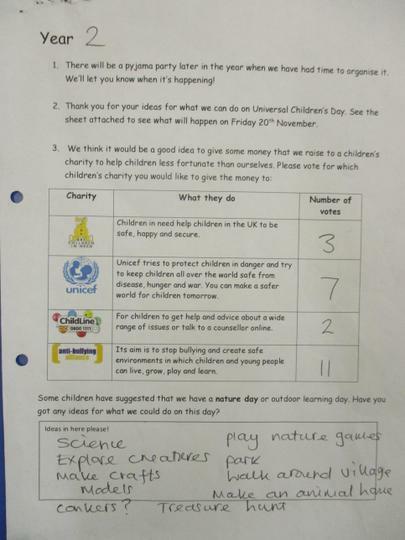 The school council asked class councils for their ideas for taking part in Day For Change for Unicef. 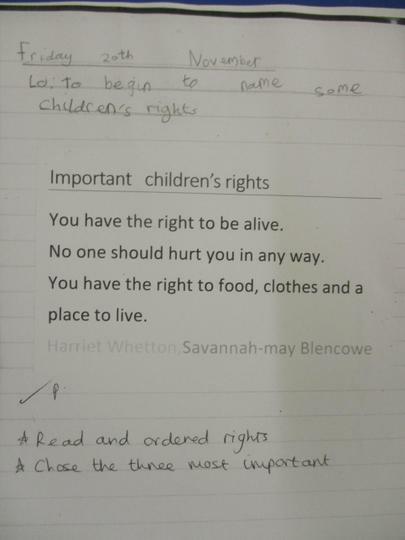 They did a whole school assembly telling the children about malnutrition and the work that Unicef do to enable all children around the world to have access to clean water and food. 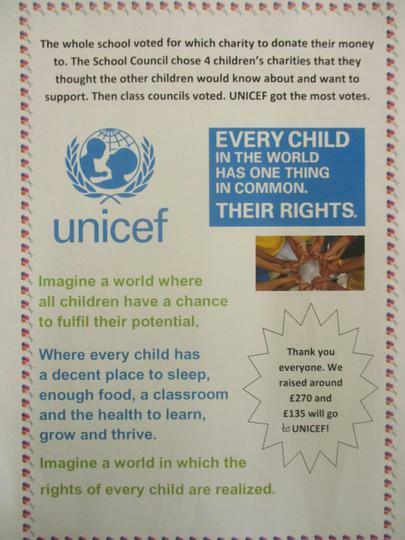 Everybody dressed in blue clothes for the day and donated some money to Unicef. 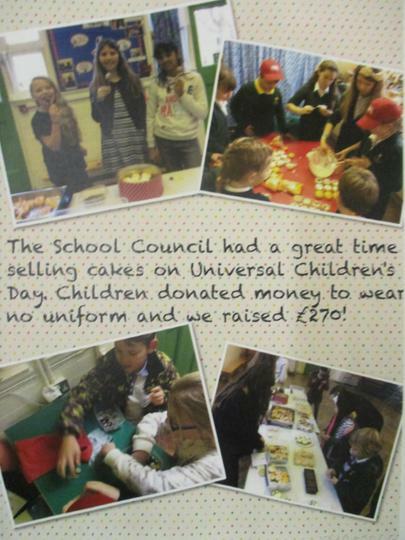 Every class learned about malnutrition and the School Council sold healthy fruit cups and we raised £190 for Unicef. 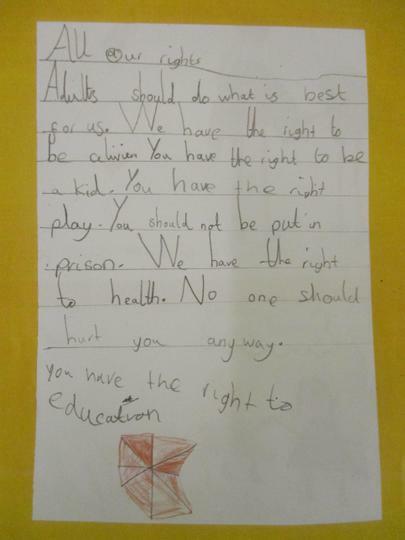 We took part in Sports Relief to raise money for children locally and globally, who don't have access to the same rights that we do. 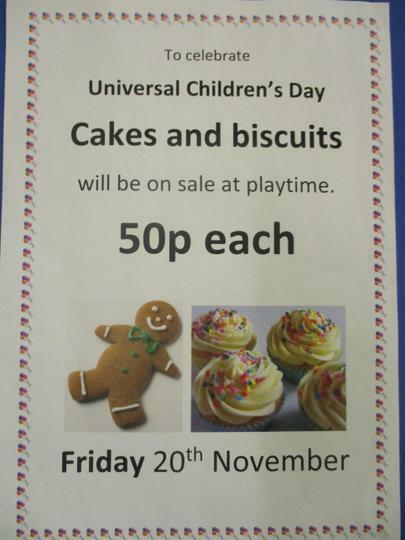 The Play Leaders organised fun games at lunchtime and the School Council sold fruit Kebabs to raise money. 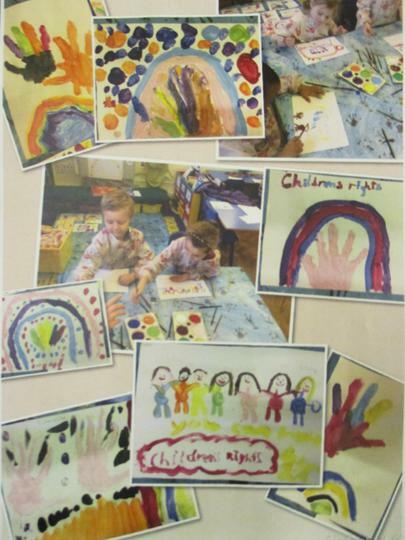 The Convention on the Rights of the Child Find out more about the Convention on the Rights of the Child by watching this clip. 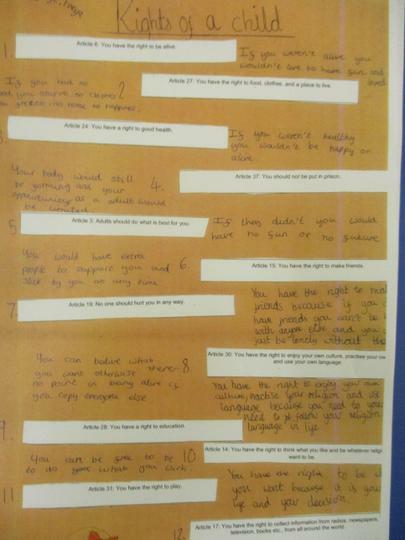 We've all got Rights Sing along to this song about your rights. 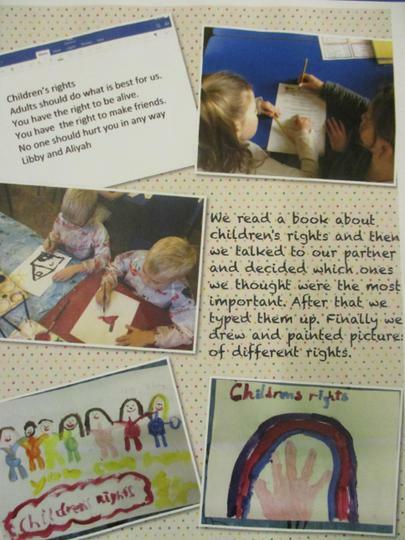 The School Council did an assembly about Children's Rights and how we can act as ambassadors for the rights of others. 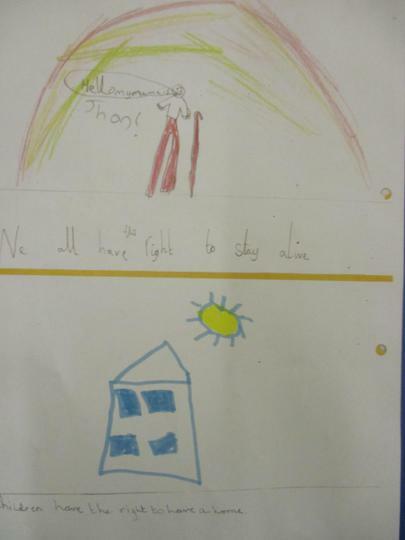 In July 2016 we achieved the Recognition of Commitment and next year we will begin working towards Level 1 of the Rights Respecting School Award. 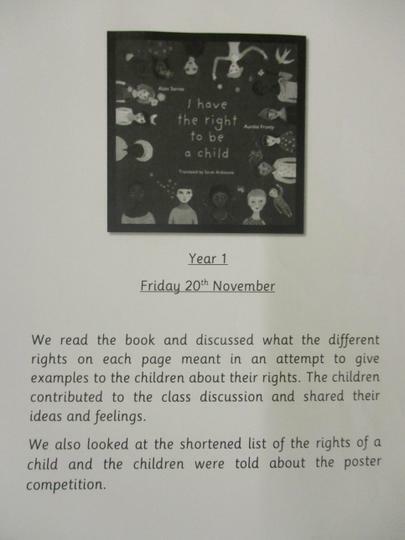 The School Council decided it would be a good idea for each class to create a display in the hall to help us learn what our rights are. 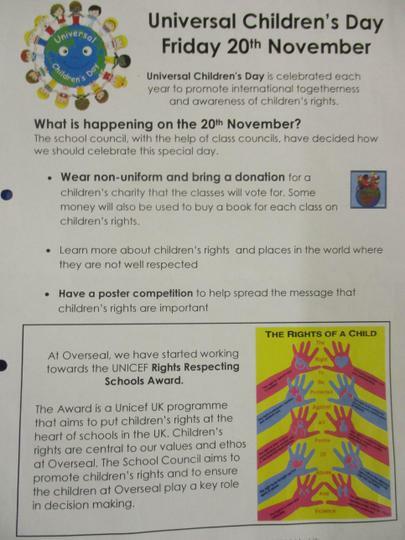 The School Council organised Universal Children's Day on the 20th November to mark the date that the Convention on the Rights of the Child was introduced. 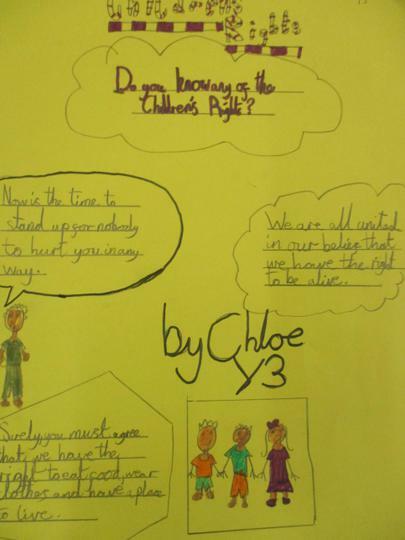 POSTER GALLERY There were so many entries that we couldn't put them all on here but they were incredible so thank you! 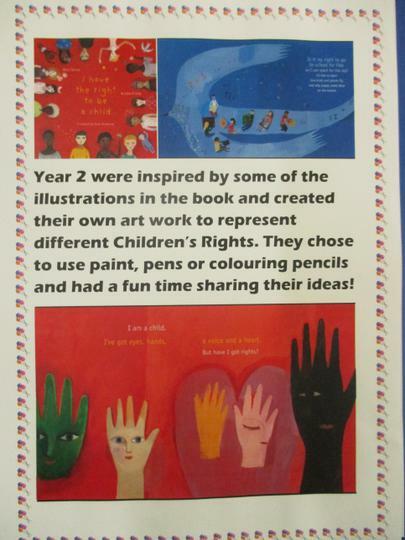 Take a look at what we got up to on the 20th November.